At Shotshow 2016 I came across the first track adjustable belt I had seen. 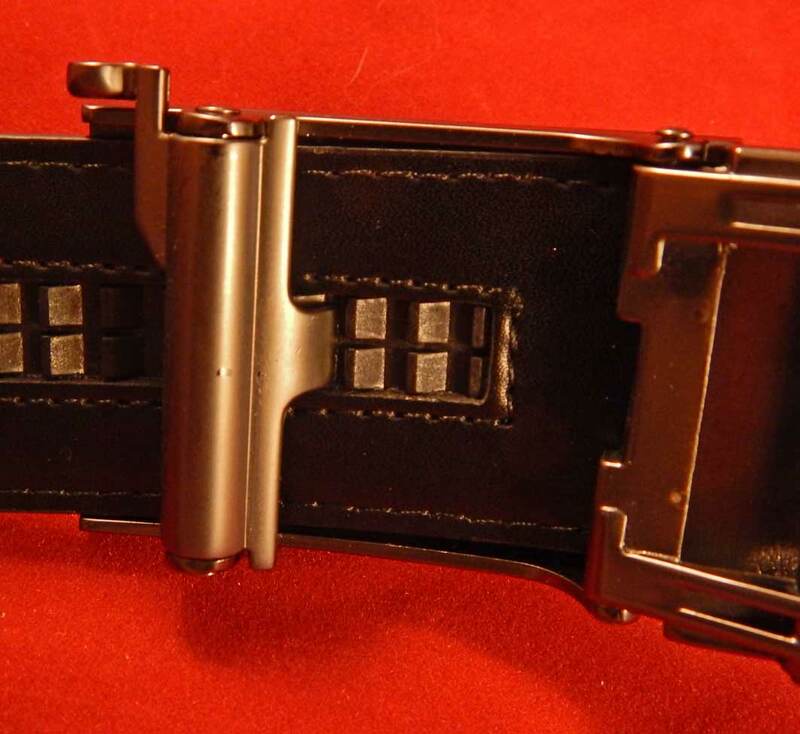 I was approached to review that company’s offering of a Tactical belt and what I found was instead a great dress belt with lots of wonderful features but I never wrote a review of the belt. I don’t bring you products that don’t work well as advertised and so I never mentioned that belt or the company that sent it to us. They called it a tactical belt and it just couldn’t live up to that name. It wasn’t suited to carry more than a pocket pistol. 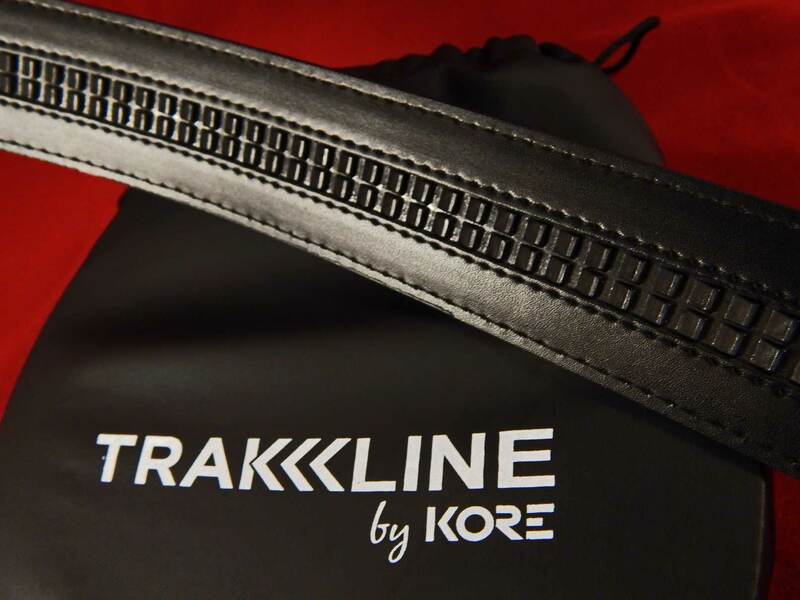 This year I was approached by Kore Essentials with what appeared to be a similar product, the Trakline belt. I say it appeared similar, but in fact, they had released a proper gun belt. The difference is all in the function. 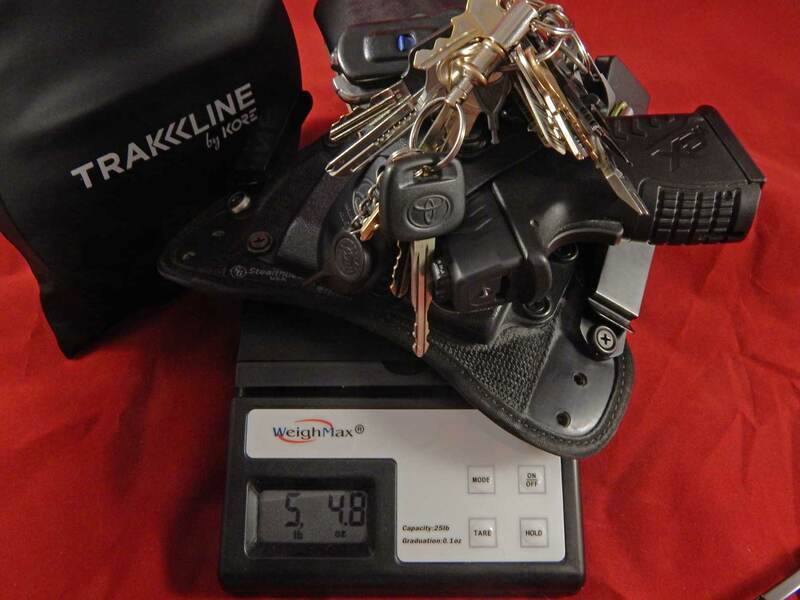 In the case of the Trakline it carried my daily load of over 5 lbs of firearm, spare mags and keys plus attached perry style suspenders and the multitude of gear in my EDC kit without so much as a dent or mark for weeks. So lets break this down to what has been in direct contact with the belt: on the strong side was an IWB kydex holster carrying my fully loaded Springfield XDm 3.8 45, the weak side held a StealthGearUSA IWB double magazine carrier with 2 fully loaded extended mags and a lump of keys that would choke a hippo. Each day the holster was removed and replaced. After weeks of use, there was no visible wear of any kind. I am not suggesting that the Trakline Gun Belt be standard issue for SWAT officers nationwide, but for the regular guy that carried a gun daily it’s a great option. In my case I can cut this belt to fit me while wearing all my IWB gear and still have plenty of track to adjust the belt and wear it with slacks to a funeral, and I did. Not just any funeral, interment at Arlington National Cemetery. It was important to me to look my best. That’s another big selling point to me. 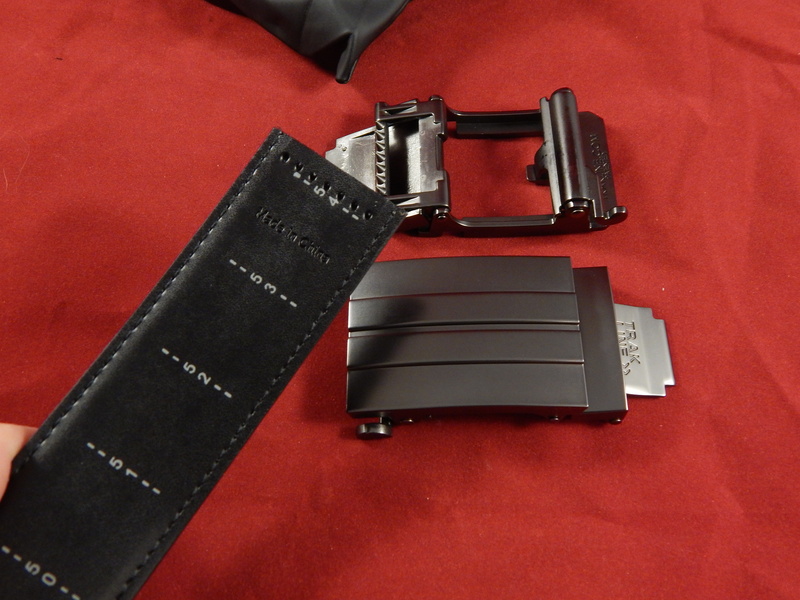 A gun belt that I can use as a dress belt and it looks the part. In my opinion, it was the best looking belt option I had. Lastly, we need to talk about sizing. This is a huge selling point to the consumer and to anyone looking to stock belts in a store. These gun belts come in size 54!!! The inside of the belt is marked to sizing and all you need to do is cut it to the size you want and add your Trakline buckle. That means even us big fellas have all the options that are available to everyone else. Further, it means each belt is the same size and works for almost anyone. So a store can stock a large variety of sizes in a very small footprint. 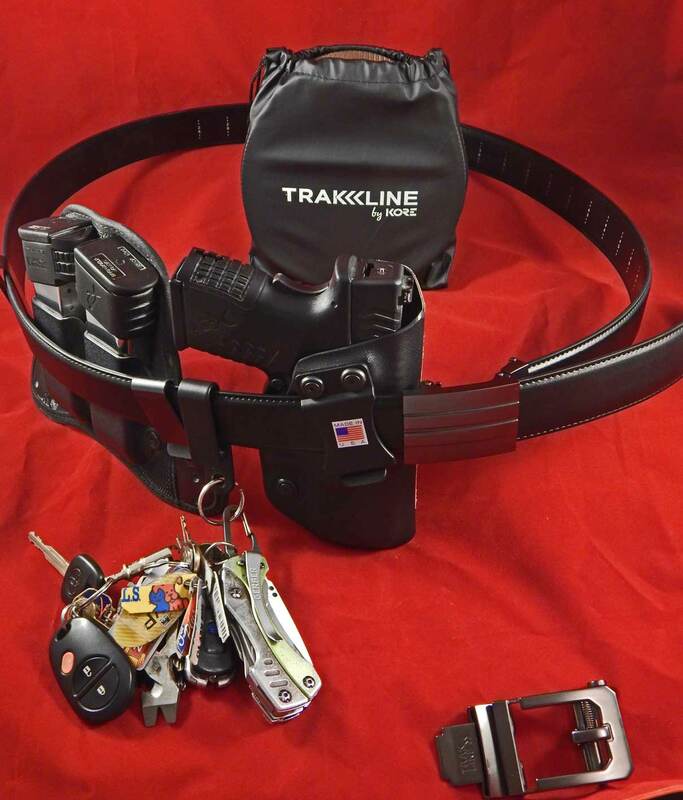 The Trakline Gun Belt is a win all around. At a retail of $60 for a gun belt and buckle with the option to purchase more of either for about $30 each, you just can’t go wrong.